This bowl full of fun stuff is what we call Lazy Galumpkis. How I happened upon Lazy Galumpkis is actually kind of a funny story. What had happened was that I had company coming over and what better hearty dish to make for company other than my mommas Galumpkis? 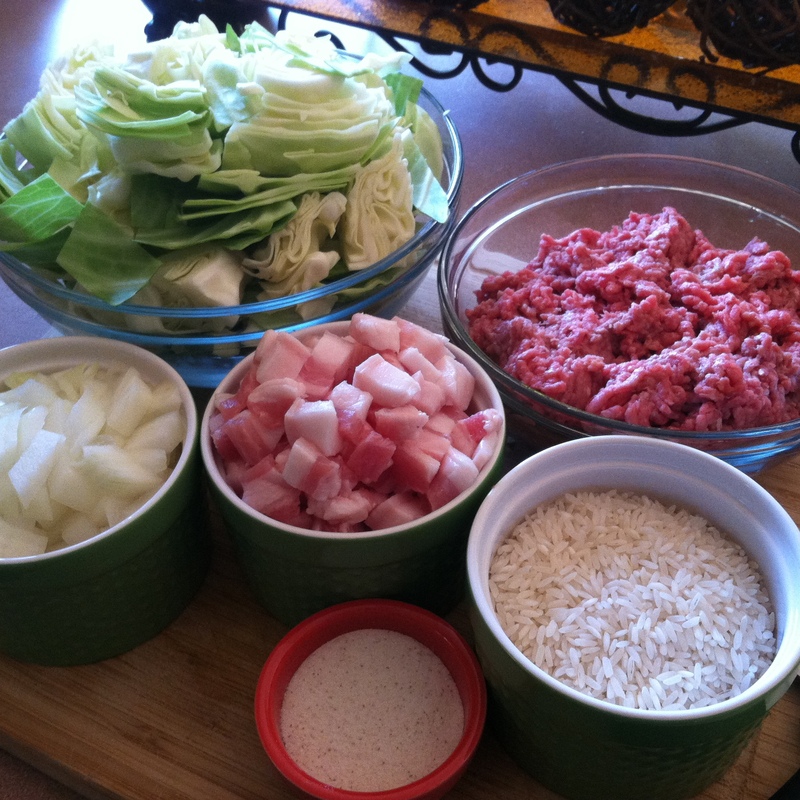 Well I got to sipping wine in the kitchen while prepping my ingredients and talking to my cat (looser cat lady that I am) that I lost track of time while my cabbage was boiling! I tried wrapping my Galumpkis and nothing I did would keep the cabbage leaves from tearing! After getting annoyed to the point of tears, I just chalked it up as lesson learned and mixed everything together in a bowl. This is what I have come to know as a happy accident. 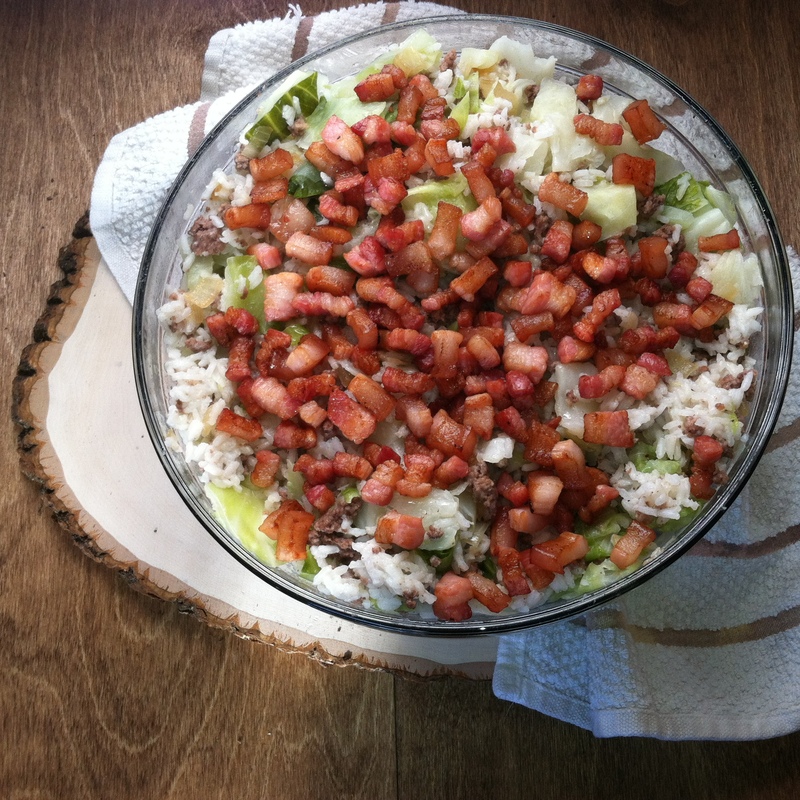 It turned from a disastrous situation into what I called it… A bowl of fun stuff. My inner Paula Dean did her happy dance and everyone was full and happy (and a little wine drunk but that’s besides the point). 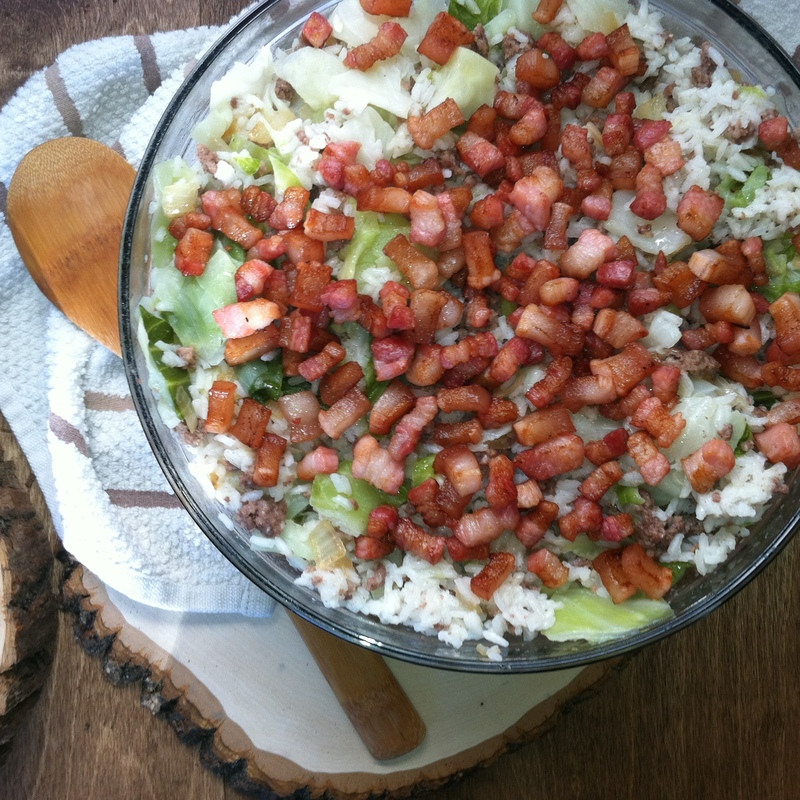 I make this dish all the time and I have to say, it is the best fall dish when the cabbages you see in the grocery stores are of monstrous proportions! 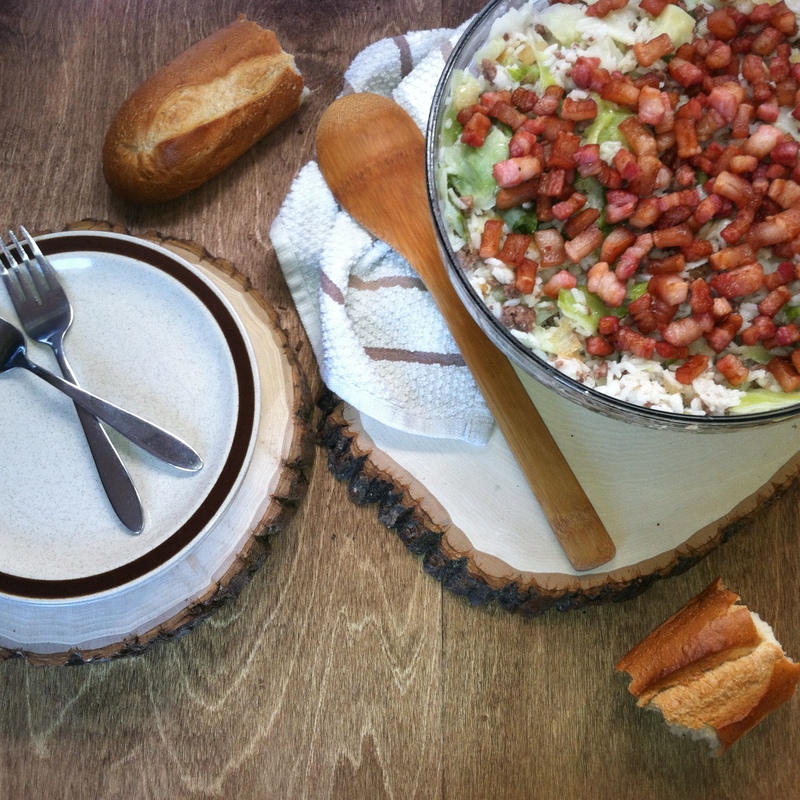 There aint nothing better than coming home on a chilly fall day to a steaming plate of Lazy Galumpkis topped with crispy fried salted pork chunks. 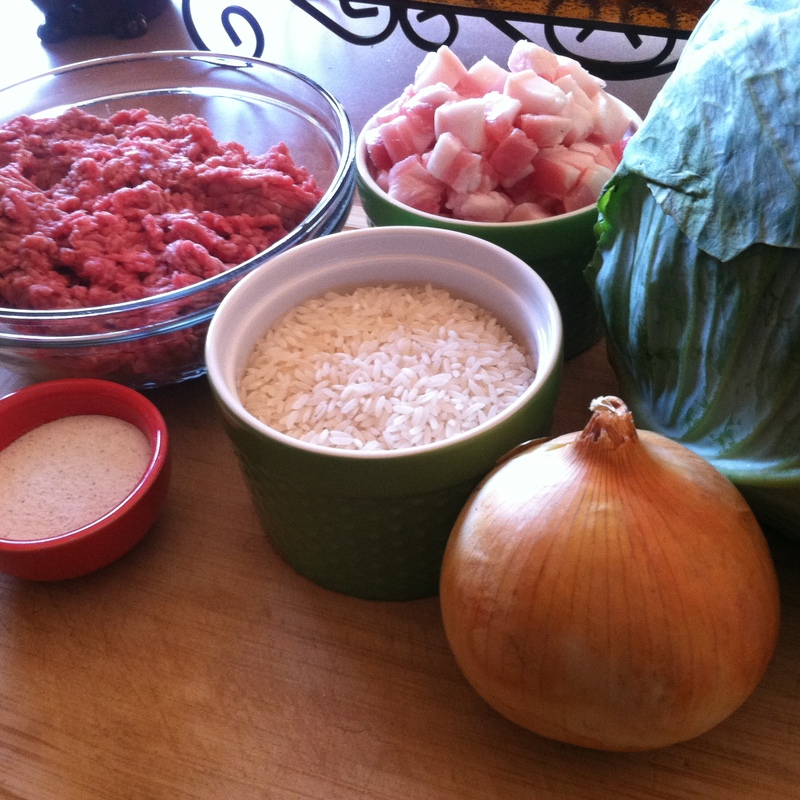 Now that we are all prepped, look at how happy your ingredients look! YAY! 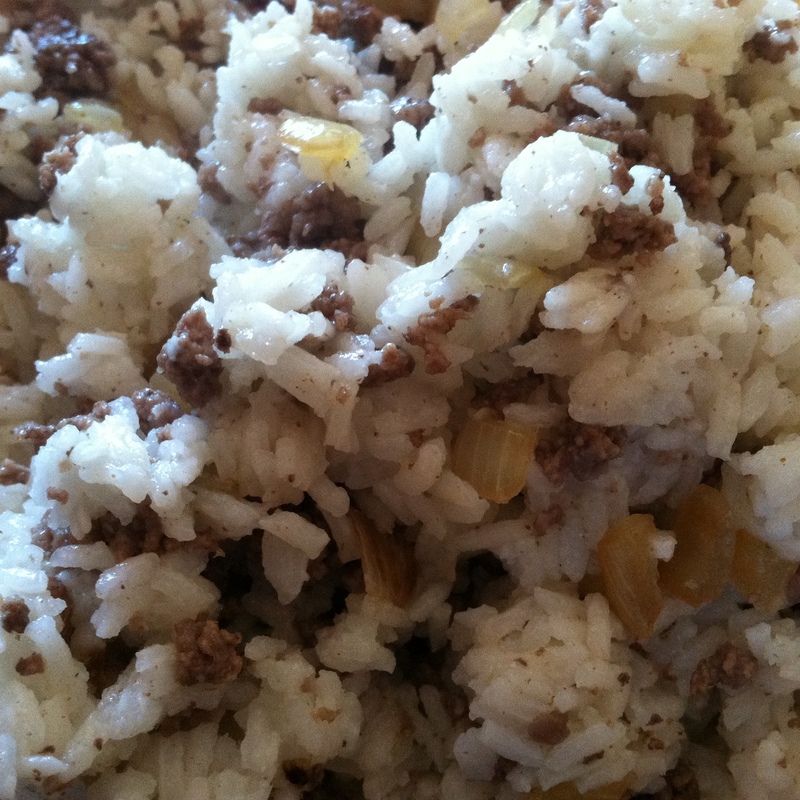 Bring 4 cups of water to boil in a medium sauce pan and add 2 cups uncooked rice. 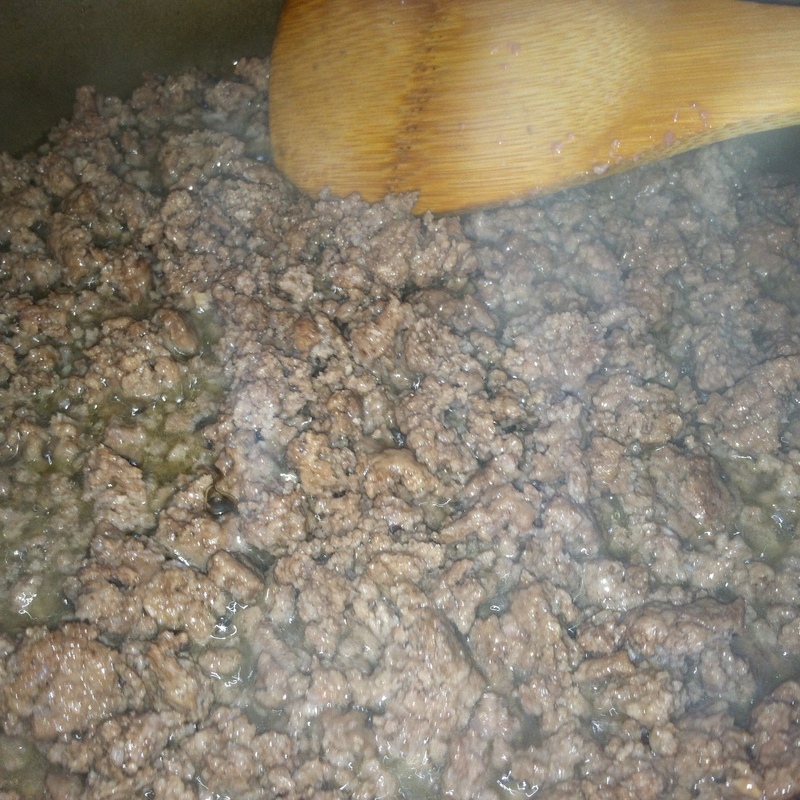 Cover and simmer for 20 minutes or until tender. 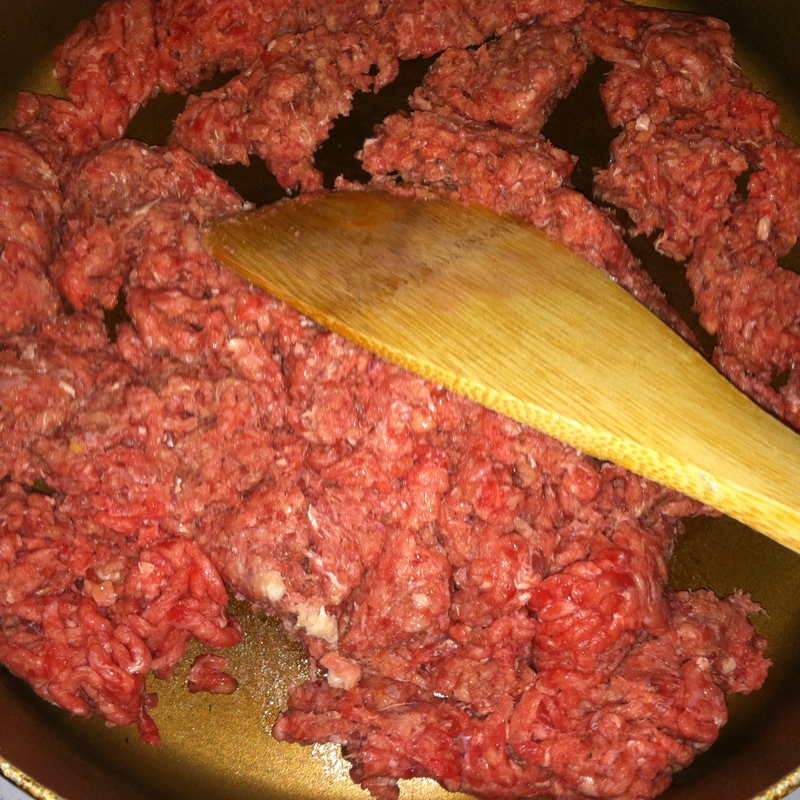 Brown hamburger in a medium skillet over medium-high heat. 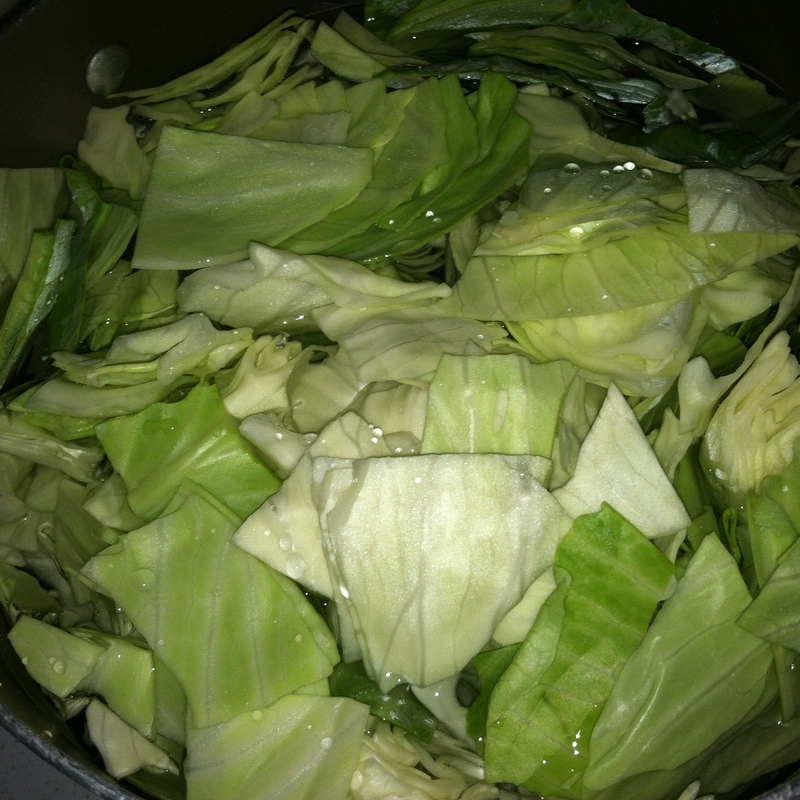 Add your cabbage to a large pot with water and boil until fork tender or about 20 minutes. 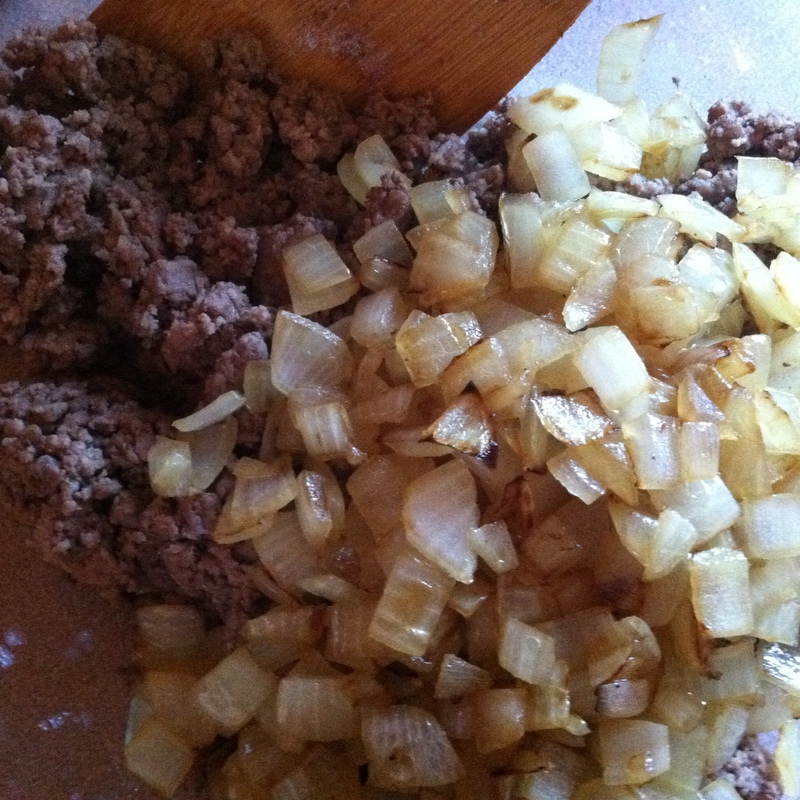 Once your hamburger is browned, drain fat well and transfer into a large mixing bowl. 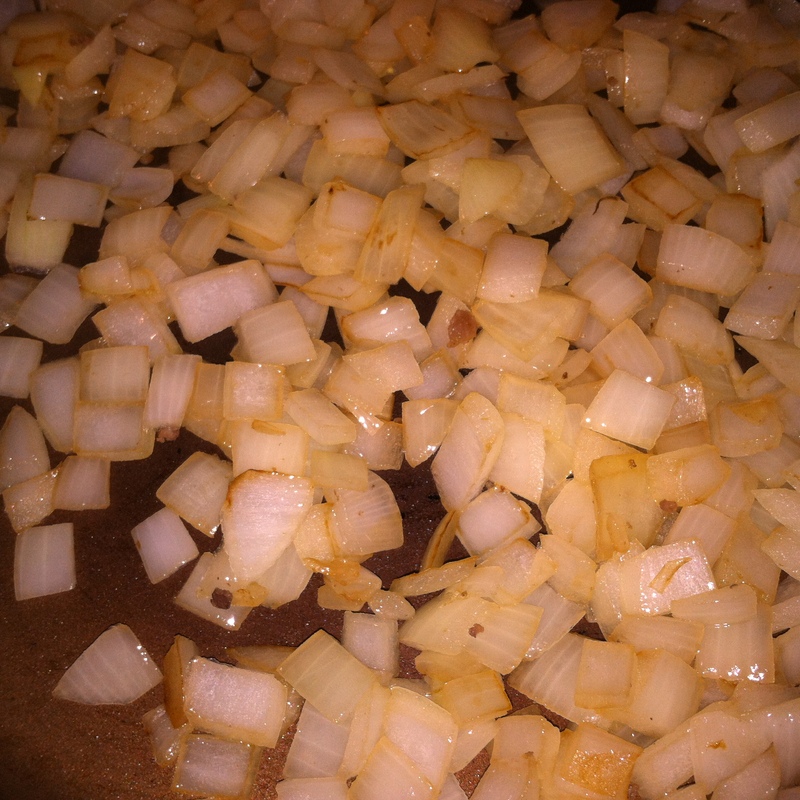 Add onions and a tiny bit of olive oil to the same skillet you used for your hamburger and saute over medium heat until tender or about 5-7 minutes. Look at how magical they are! 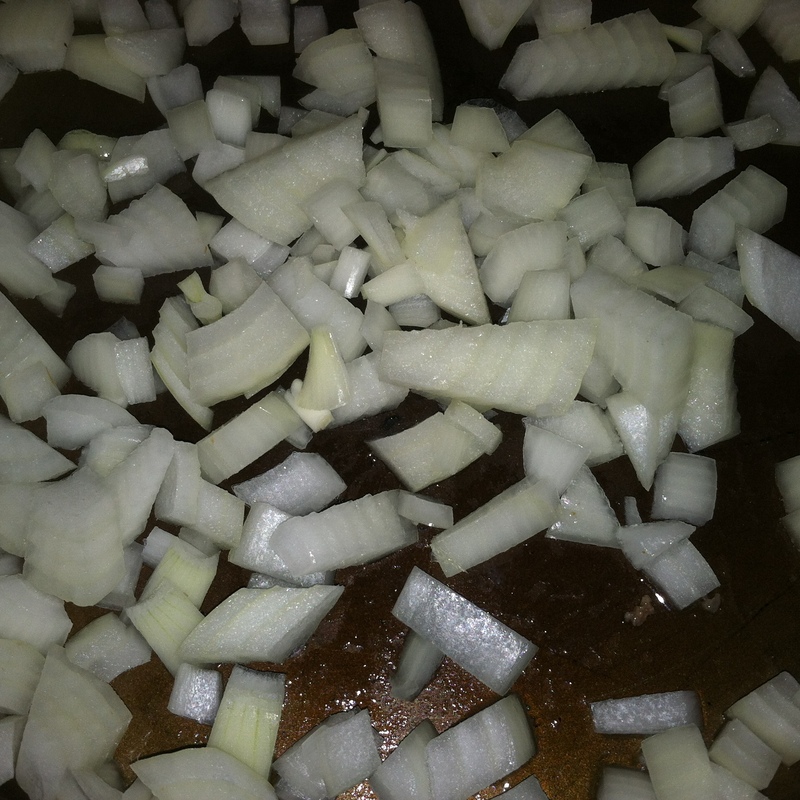 Transfer onions into the same mixing bowl as the hamburger and by now your cabbage should be nice and ready so strain the water and add the cabbage to the mixing bowl full of happiness as well. 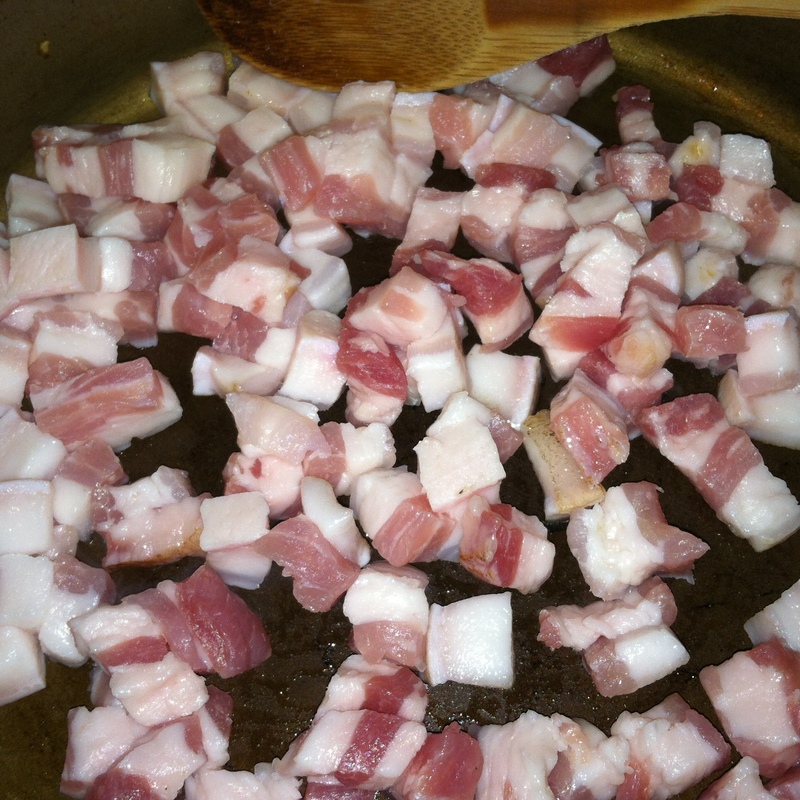 Next add your salted pork chunks to the same skillet you just did your onions in, and saute over medium-low heat. Our goal here is to get them nice and golden in color. If they seem to be burning, lower the heat. They should only take about 7-10 minuted to get perfectly crispy and golden but if you rush them they will burn faster then you know! 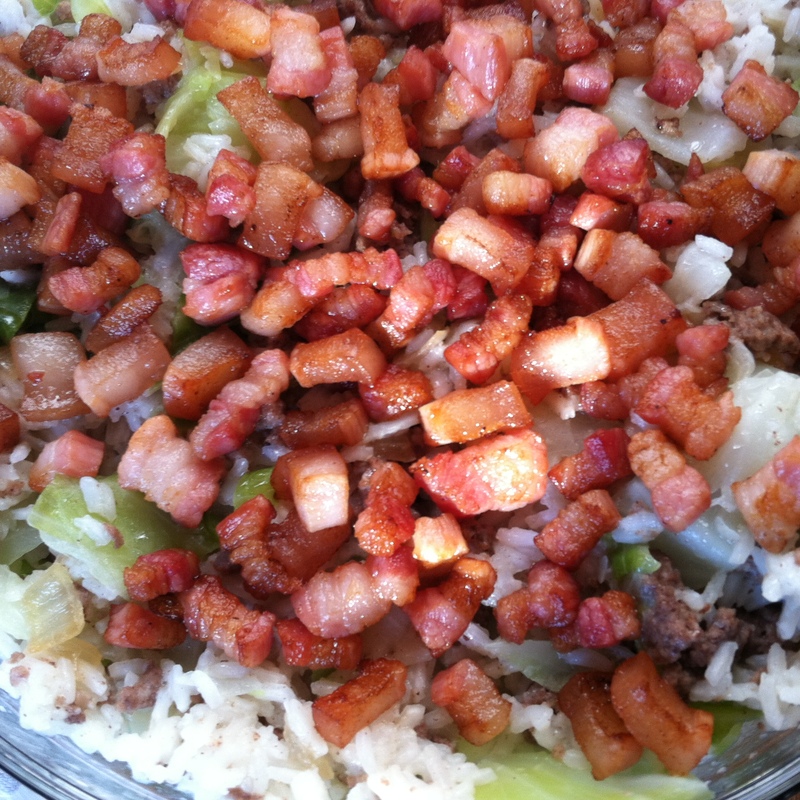 Transfer the cooked rice into the mixing bowl with your hamburger and onions then add your G. Washington’s seasoning mixing well to evenly distribute each ingredient. 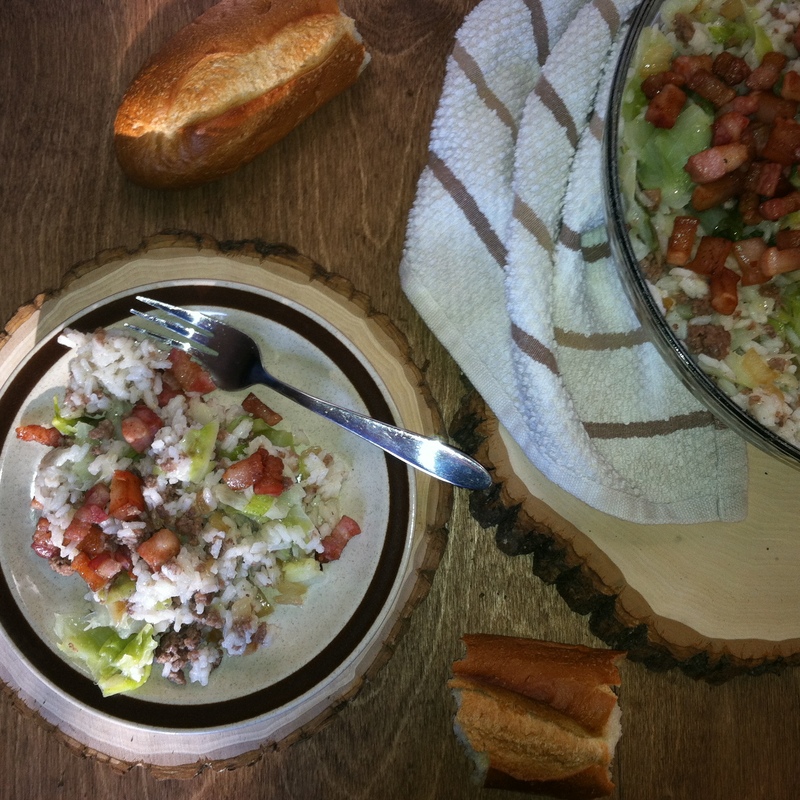 Top the bowl of Lazy Galumpkis with the sauteed salted pork chunks. Don’t judge my inner Paula Dean… she has to come out from time to time. Gaaaaaaah just look at all that happiness… I feel that the angels above are weeping with pure joy and somewhere out there the Polish gods are singing a song and doing a little dance. (weird visual). 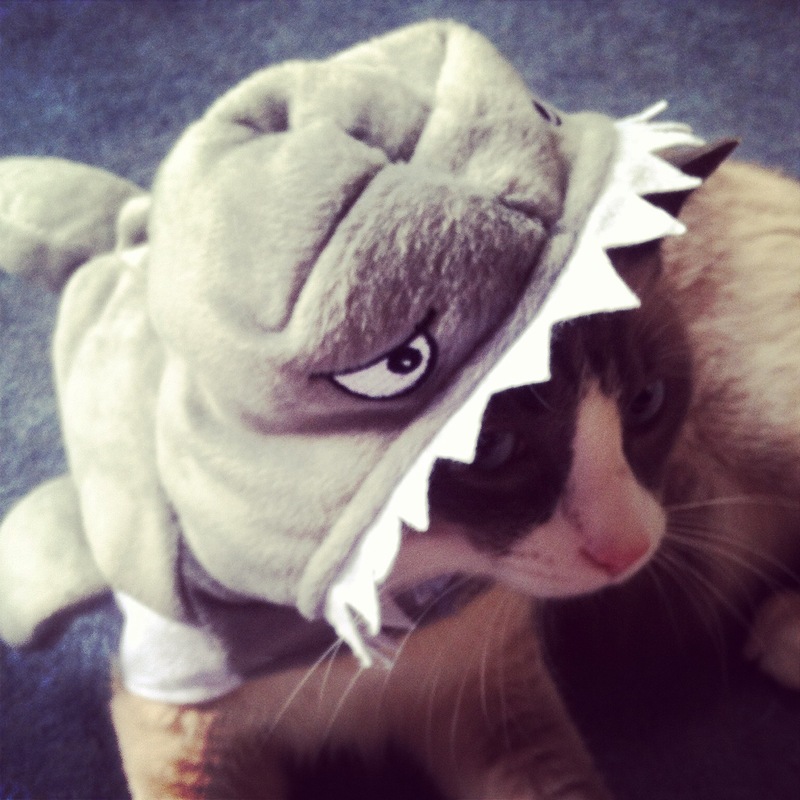 This dish is Sharki (Saki the Shark) approved… Enjoy!